Customer feedback indicates that there might be some batch-to-batch variation with respect to mouse cross-reactivity. We recommend ab124432 as an alternative antibody for mouse samples. Please contact Abcam if you have any queries. Synthetic peptide within Mouse CD31 aa 700 to the C-terminus (C terminal). The exact sequence is proprietary. IHC-P: Mouse skin, xenograft tissue; Human tonsil tissue. WB: Jurkat whole cell lysate (ab7899), Human vascular endothelial cell lysate. 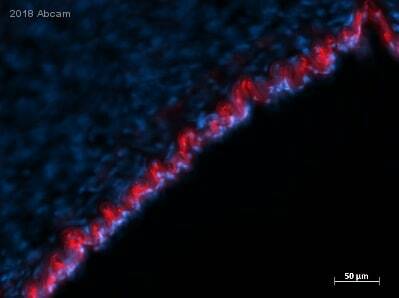 IHC-Fr: Human fetal heart tissue. Our Abpromise guarantee covers the use of ab28364 in the following tested applications. Induces susceptibility to atherosclerosis (By similarity). Cell adhesion molecule which is required for leukocyte transendothelial migration (TEM) under most inflammatory conditions. Tyr-690 plays a critical role in TEM and is required for efficient trafficking of PECAM1 to and from the lateral border recycling compartment (LBRC) and is also essential for the LBRC membrane to be targeted around migrating leukocytes. Prevents phagocyte ingestion of closely apposed viable cells by transmitting 'detachment' signals, and changes function on apoptosis, promoting tethering of dying cells to phagocytes (the encounter of a viable cell with a phagocyte via the homophilic interaction of PECAM1 on both cell surfaces leads to the viable cell's active repulsion from the phagocyte. During apoptosis, the inside-out signaling of PECAM1 is somehow disabled so that the apoptotic cell does not actively reject the phagocyte anymore. The lack of this repulsion signal together with the interaction of the eat-me signals and their respective receptors causes the attachment of the apoptotic cell to the phagocyte, thus triggering the process of engulfment). Isoform Delta15 is unable to protect against apoptosis. Modulates BDKRB2 activation. Regulates bradykinin- and hyperosmotic shock-induced ERK1/2 activation in human umbilical cord vein cells (HUVEC). Expressed on platelets and leukocytes and is primarily concentrated at the borders between endothelial cells. Isoform Long predominates in all tissues examined. Isoform Delta12 is detected only in trachea. Isoform Delta14-15 is only detected in lung. Isoform Delta14 is detected in all tissues examined with the strongest expression in heart. Isoform Delta15 is expressed in brain, testis, ovary, cell surface of platelets, human umbilical vein endothelial cells (HUVECs), Jurkat T-cell leukemia, human erythroleukemia (HEL) and U937 histiocytic lymphoma cell lines (at protein level). Contains 6 Ig-like C2-type (immunoglobulin-like) domains. The Ig-like C2-type domains 2 and 3 contribute to formation of the complex with BDKRB2 and in regulation of its activity. Phosphorylated on Ser and Tyr residues after cellular activation. In endothelial cells Fyn mediates mechanical-force (stretch or pull) induced tyrosine phosphorylation. Membrane. Cell junction. Localizes to the lateral border recycling compartment (LBRC) and recycles from the LBRC to the junction in resting endothelial cells and Cell junction. Localizes to the lateral border recycling compartment (LBRC) and recycles from the LBRC to the junction in resting endothelial cells. Immunohistochemistry (Formalin/PFA-fixed paraffin-embedded sections) - Anti-CD31 antibody (ab28364)Chan AH et al PLoS One. 2017 Mar 29;12(3):e0174773. doi: 10.1371/journal.pone.0174773. eCollection 2017. Representative images of cross sections with CD31 staining in red, nucleus in blue. White dotted lines indicate the graft wall. Scale bar = 100 μm. Explanted grafts from C57/BL6 mice were fixed overnight in paraformaldehyde (2%) at room temperature. Samples were dehydrated through an ethanol gradient and embedded in paraffin and sectioned at 5 μm transversely from proximal anastomosis to distal anastomosis. 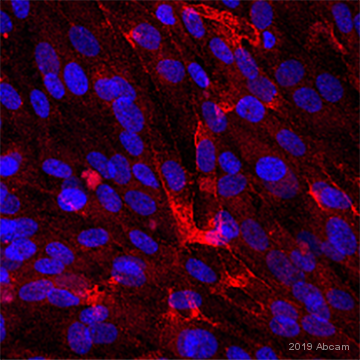 For immunohistochemistry staining, sections were deparaffinised and stained with antibody against CD31 (Abcam, ab28364, 1:200) for endothelial cells. Immunohistochemistry (Formalin/PFA-fixed paraffin-embedded sections) - Anti-CD31 antibody (ab28364)Wang W. et al PLoS One. 2017 Sep 28;12(9):e0185346. doi: 10.1371/journal.pone.0185346. eCollection 2017. GFP positive cells (green) were colocalized with CD31 (red). Nuclear staining with DAPI is blue. For immunofluorescence staining, the skin samples were fixed in 4% paraformaldehyde and embedded in paraffin. Skin sections were stained with an anti-GFP antibody. 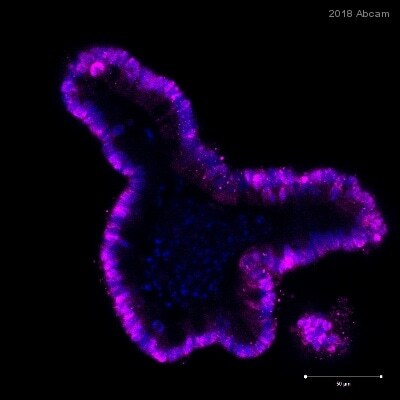 The skin sections were also treated with primary Abs against CD31 (Abcam, ab28364, diluted 1:300). 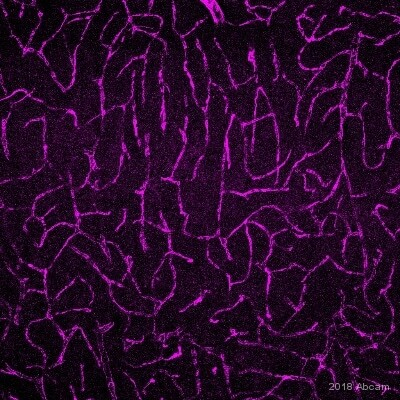 Secondary antibodies conjugated to rhodamine-isothiocyanate were used for fluorescence detection on a confocal laser scanning fluorescence microscope (Zeiss, German). Opn-/-; OPN (Osteopontin) knock-out mice. ab28364 at 1/50 dillution staining CD31 in human tonsil tissue section by Immunohistochemistry (Formalin/ PFA fixed paraffin embedded tissue sections). Immunohistochemistry (Formalin/PFA-fixed paraffin-embedded sections) - Anti-CD31 antibody (ab28364)This image is courtesy of an anonymous Abreview. 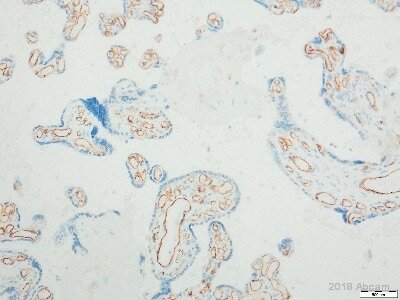 ab28364 staining CD31 in mouse xenograft tissue sections by Immunohistochemistry (PFA perfusion fixed frozen sections). Tissue samples were fixed by perfusion with paraformaldehyde, cut into 20 micron slices and blocked with 1% BSA for 60 minutes at 21°C. Antigen retrieval was by heat mediation in a Tris/EDTA pH9 buffer. The sample was incubated with primary antibody (20 ug/mL) at 4°C for 16 hours. A HRP-conjugated goat anti-rabbit polyclonal (2 ug/mL) was used as the secondary antibody. ab28364 at a 1/300 dilution, staining human CD31 in fetal heart tissue by Immunohistochemistry, frozen tissue. Anti-CD31 antibody (ab28364) at 1/50 dilution staining mouse tissue sections by Immunohistochemistry (Formalin-fixed paraffin-embedded sections). Following heat mediated antigen retrieval the tissue was formaldehyde fixed and blocked with serum. The tissue was incubated with the primary antibody for 20 minutes. 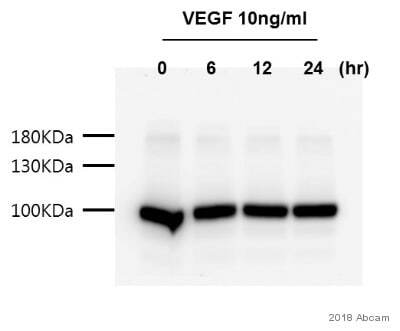 A biotinylated goat anti-rabbit antibody was used as the secondary. The endothelium of vessels of any tissues are positive.